This is another one of those smoothies that is so creamy it could be called a milkshake. Very simple, but huge flavor. I used white nectarines, which are sweeter than the yellow ones. You could substitute peaches here also. Enjoy! 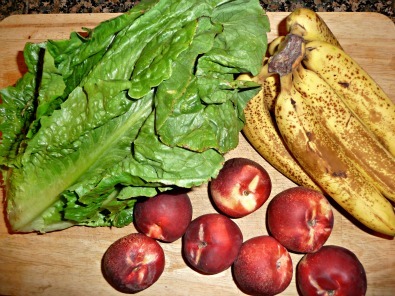 Add necterines, then lettuce, then bananas. 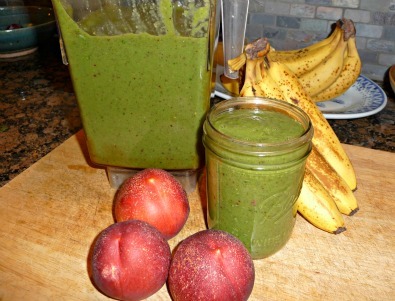 Blend til smooth or about 19 seconds if you have a high speed blender. This makes several glasses each for two.